Sir Felix Edward Aylmer Jones, OBE (21 February 1889 – 2 September 1979), known as Felix Aylmer, was an English stage actor who also appeared in the cinema and on television. Aylmer made appearances in films with comedians such as Will Hay and George Formby. William Thomson Hay was an English comedian, actor, author, film director and amateur astronomer who came to notice for his theatrical sketch as a jocular schoolmaster, known as Dr. Muffin. The acts in which Hay performed the schoolmaster sketch became known as "The Fourth Form at St. Michael's". Hay toured with the act and appeared in the United States, Canada, Australia and South Africa. He famously performed the schoolmaster routine at the 1925 Royal Command Performance before King George V and Queen Mary. From 1934 to 1943, he was a prolific film star in Britain and was ranked the third highest grossing star at the British Box Office in 1938, behind George Formby and Gracie Fields. He is widely regarded as one of the most prolific and influential British comedians of all-time. George Formby,, was an English actor, singer-songwriter and comedian who became known to a worldwide audience through his films of the 1930s and 1940s. On stage, screen and record he sang light, comical songs, usually playing the ukulele or banjolele, and became the UK's highest-paid entertainer. Felix Aylmer was born in Corsham, Wiltshire, the son of Lilian (Cookworthy) and Lieutenant-Colonel Thomas Edward Aylmer Jones. He was educated at King James's Grammar School, Almondbury, near Huddersfield, where he was a boarder from 1897 to 1900,  Magdalen College School, and Exeter College, Oxford, where he was a member of Oxford University Dramatic Society (OUDS). He trained under the Victorian-era actress and director Rosina Filippi before securing his first professional engagement at the London Coliseum in 1911. He appeared in the world premiere of The Farmer's Wife by Eden Phillpotts at the Birmingham Repertory Theatre in 1917. Corsham is a historic market town and civil parish in west Wiltshire, England. It is at the south-western edge of the Cotswolds, just off the A4 national route, which was formerly the main turnpike road from London to Bristol, 28 miles (45 km) southwest of Swindon, 20 miles (32 km) southeast of Bristol, 8 miles (13 km) northeast of Bath and 4 miles (6 km) southwest of Chippenham. Corsham is close to the county borders with Bath and North East Somerset and South Gloucestershire. Wiltshire is a county in South West England with an area of 3,485 km2. It is landlocked and borders the counties of Dorset, Somerset, Hampshire, Gloucestershire, Oxfordshire and Berkshire. The county town was originally Wilton, after which the county is named, but Wiltshire Council is now based in the county town of Trowbridge. Huddersfield is a large market and university town in West Yorkshire, England. It is the 11th largest town in the United Kingdom, with a population of 162,949 at the 2011 census. It lies 14 miles (23 km) southwest of Leeds and 24 miles (39 km) northeast of Manchester. Laurence Kerr Olivier, Baron Olivier, was an English actor and director who, along with his contemporaries Ralph Richardson, Peggy Ashcroft and John Gielgud, dominated the British stage of the mid-20th century. He also worked in films throughout his career, playing more than fifty cinema roles. Late in his career, he had considerable success in television roles. Hamlet is a 1948 British film adaptation of William Shakespeare's play of the same name, adapted and directed by and starring Sir Laurence Olivier. 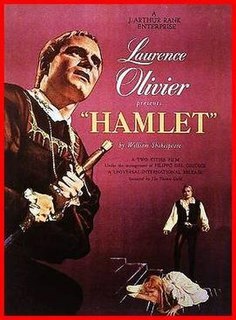 Hamlet was Olivier's second film as director, and also the second of the three Shakespeare films that he directed. 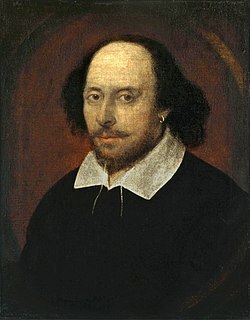 Hamlet was the first British film to win the Academy Award for Best Picture. It is also the first sound film of the play in English. A 1935 sound film adaptation, Khoon Ka Khoon, had been made in India and filmed in the Urdu language. His memorable style of delivery—dignified and learned—  was frequently mimicked by comedians such as Peter Sellers and Kenneth Williams. 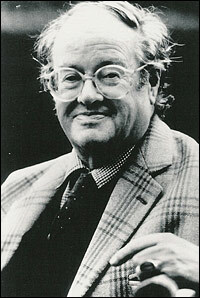 Indeed, as dramatist and barrister John Mortimer noted, the mannerisms Aylmer brought to bear in his roles came to be imitated in real life by judges on the bench. Williams observed that an impersonation of Aylmer was a speciality of a colleague during his days with ENSA, the Armed Forces Entertainment Association, but he was certain that none of the troops knew who was being impersonated. Peter Sellers, CBE was an English film actor, comedian and singer. He performed in the BBC Radio comedy series The Goon Show, featured on a number of hit comic songs and became known to a worldwide audience through his many film characterisations, among them Chief Inspector Clouseau in The Pink Panther series of films. Kenneth Charles Williams was an English actor, best known for his comedy roles and in later life as a raconteur and diarist. He was one of the main ensemble in 26 of the 31 Carry On films, and appeared in many British television programmes and radio comedies, including series with Tony Hancock and Kenneth Horne. Sir John Clifford Mortimer was an English barrister, dramatist, screenwriter, and author. Aylmer was President of Equity from 1950 to 1969. He was made an Officer of the Order of the British Empire  in the 1950 King's Birthday Honours and knighted   in the 1965 Queen's Birthday Honours. 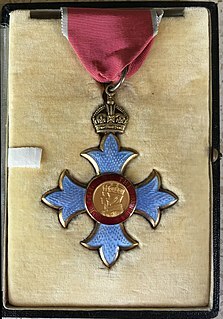 The King's Birthday Honours 1950 were appointments in many of the Commonwealth realms of King George VI to various orders and honours to reward and highlight good works by citizens of those countries. The appointments were made to celebrate the official birthday of the King, and were published in supplements to the London Gazette of 2 June 1950 for the British Empire, Australia, Ceylon and New Zealand. At the age of 80 Felix Aylmer played a villain in an episode of Randall and Hopkirk (Deceased) entitled "It's Supposed to be Thicker than Water". His last major screen role was as the Abbot in the sitcom Oh, Brother! , opposite Derek Nimmo (1968–70). He appeared as a doctor in an episode of the TV series Jason King called "If It's Got To Go, It's Got To Go" in 1972, at the age of 83. Aylmer died in a nursing home, aged 90, in Pyrford, Surrey in 1979. Randall and Hopkirk (Deceased) is a British private detective television series, starring Mike Pratt and Kenneth Cope respectively as the private detectives Jeffrey Randall and Martin Hopkirk. The series was created by Dennis Spooner and produced by Monty Berman, and was first broadcast in 1969 and 1970. In the United States, it was given the title My Partner the Ghost. In Spain it was entitled El Detective Fantasma. "It's Supposed to be Thicker than Water" is the twenty-second episode of the popular 1969 ITC British television series Randall and Hopkirk (Deceased) starring Mike Pratt, Kenneth Cope and Annette Andre. The episode was first broadcast on 13 February 1970 on the ITV. Directed by Leslie Norman. Oh, Brother! is a British situation comedy show on BBC television starring Derek Nimmo, which was broadcast between 1968 and 1970. 1960 Never Take Sweets from a Stranger Clarence Olderberry Sr.
Audrey Hepburn was a British actress, model, dancer, and humanitarian. Recognised as a film and fashion icon, Hepburn was active during Hollywood's Golden Age. She was ranked by the American Film Institute as the third-greatest female screen legend in Golden Age Hollywood, and was inducted into the International Best Dressed List Hall of Fame. Henry V is a 1944 British Technicolor film adaptation of William Shakespeare's play of the same name. The on-screen title is The Chronicle History of King Henry the Fift with His Battell Fought at Agincourt in France. It stars Laurence Olivier, who also directed. The play was adapted for the screen by Olivier, Dallas Bower, and Alan Dent. The score is by William Walton. Frederick George Peter Ingle Finch was an English-Australian actor. He is best remembered for his role as crazed television anchorman Howard Beale in the film Network, which earned him a posthumous Academy Award for Best Actor, his fifth Best Actor award from the British Academy of Film and Television Arts, and a Best Actor award from the Golden Globes. He was the first of two persons to win a posthumous Academy Award in an acting category, both of whom were coincidentally Australian, the other being Heath Ledger. Joan Ann Olivier, Baroness Olivier, DBE, commonly known as Dame Joan Plowright, is a retired English actress whose career has spanned over six decades. She has won two Golden Globe Awards and a Tony Award and has been nominated for an Academy Award, an Emmy and two BAFTA Awards. 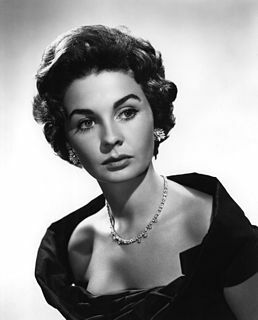 She is also one of only four actresses to have won two Golden Globes in the same year. Edward Charles Morice Fox, is an English stage, film and television actor. 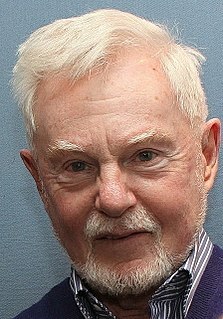 Julian Wyatt Glover is an English classical actor, with many stage, television and film roles since commencing his career in the 1950s. He is a recipient of the Laurence Olivier Award. 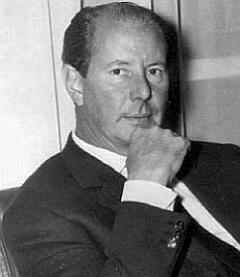 Shaun Terence Young was a British film director and screenwriter best known for directing three James Bond films, including the first two films in the series, Dr. No (1962) and From Russia with Love (1963), as well as Thunderball (1965). All three films starred Sean Connery as Bond. Almondbury is a village 2 miles (3.2 km) south-east of Huddersfield town centre in West Yorkshire, England. The population of Almondbury in 2001 was 7,368 increasing to 18,346 at the 2011 Census. Alan Webb was an English stage and film actor. King James's School is a coeducational secondary school located in Almondbury in the English county of West Yorkshire. 1 2 3 4 Nimmo, Derek (2004). "'Aylmer, Sir Felix (1889–1979)'". Oxford Dictionary of National Biography . Oxford University Press. doi:10.1093/ref:odnb/30776 . Retrieved 16 November 2009. ↑ Hinchliffe, Gerald (1963). A history of the King James's Grammar School in Almondbury. Huddersfield: Advertiser Press. p. 234. 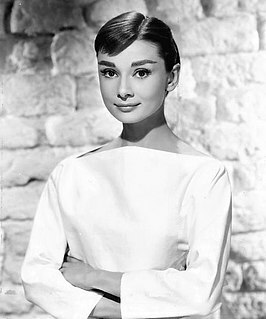 ↑ "Unseen Audrey Hepburn letters up for auction". bbc.co.uk. BBC News. 14 June 2016. Retrieved 29 October 2016. her mentor and lifelong friend Sir Felix Aylmer. ↑ Darlington, William A. (4 February 1979). "Sir Felix Aylmer, distinguished actor". The Daily Telegraph . London. ↑ Mortimer, John (24 January 2001). "Dodgy wigs, extravagant costumes, over-the-top speeches? You'd never get away with that on stage". The Guardian . p. G2–14. ↑ "No. 38929". The London Gazette (Supplement). 2 June 1950. pp. 2786–2786. ↑ "No. 43667". The London Gazette (Supplement). 4 June 1965. p. 5471. ↑ "No. 43720". The London Gazette . 23 July 1965. p. 7029. ↑ Campbell Dixon (23 April 2014). "Shakespeare: Laurence Olivier as Hamlet: original 1948 Telegraph review". telegraph.co.uk. The Telegraph. Retrieved 29 October 2016. ↑ Simon Heffer (21 August 2015). "The unsung greatness of George Cole". telegraph.co.uk. Retrieved 29 October 2016.